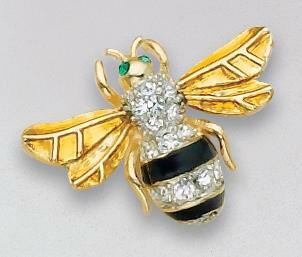 Delightful Golden Bee Tac with pave set Austrian Crystals and black enamel strips. 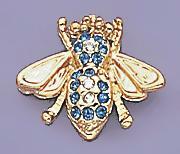 This bee is approximately just over one inch long from wing tip to wing tip. Color of eyes may vary.